Robin Fennelly is a Third Degree initiate within The Assembly of the Sacred Wheel Tradition and has served as High Priestess of Oak and Willow Coven within the ASW for over a decade. 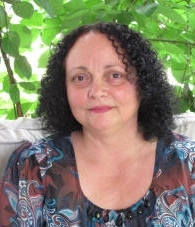 Robin has been on the path of the spiritual seeker since her early teens. Growing up in a spiritually supportive family provided the opportunity to explore a variety of esoteric traditions encompassing Eastern Philosophy, Metaphysics and the Western Magickal System which she incorporates in her teaching.